Skate Farm Vol 2 by Barzak - My daughter asked for this graphic novel and is super happy that she can read it in her head (she's 6, we're still working on the reading thing). I'm beginning to wonder if I should have so readily agreed to the purchase after flipping through it, though. Guinea Dog 3 by Patrick Jennings - My son asked for this book. It looks kind of silly, but it's at least age appropriate for sure. Would You Rather? Gross-Out by Justin Heimberg & David Gomberg - I bought this book with the intention of using it on my blog's Facebook page to boost interaction. We shall see if it works. The Handy Weather Answer Book by Walter A. Lyons, Ph.D. - I have a few books from this series. I figured I might as well add one more. Ricky Ricotta's Might Robot vs. the Mutant Mosquitoes from Mercury by Dav Pilkey - I have a few of these books, it's possible I have this book, but I couldn't remember for sure, so I got it just in case. Ricky Ricotta's Might Robot vs. the Mecha-Monkeys From Mars by Dav Pilkey - My son likes the Captain Underpants books by Mr. Pilkey, so these are definitely worth a shot as well. Ricky Ricotta's Might Robot vs. the Voodoo Vultures From Venus by Dav Pilkey - My computer constantly changes Dav to Das, and it's driving me a wee bit nuts. Ricky Ricotta's Mighty Robot by Dav Pilkey - It would be a shame to not own the first book in the series, right? The Day the Mice Stood Still by Dr. Roach - This looks like a fun story for kids around my daughters age. I Survived the San Francisco Earthquake, 1906 by Lauren Tarshis - I want to believe that these are historically accurate where possible. They are offered by Scholastic, so that gives me some hope for that. I Survived the Destruction of Pompeii, AD 79 by Lauren Tarshis - I'm kind of interested in this one, even if it is targeted towards 4th graders. Abe Lincoln At Last by Mary Pope Osborne - This is a Magic Treehouse Book, and I have several of these for my kids, but I don't think this was one of them. It is now of course, but I'm pretty sure I didn't end up with a duplicate this time around. Tales from Shakespeare by Charles and Mary Lamb - As far as I can tell, this is story versions of Shakespeare's plays. That might make them a bit easier to read, maybe. On Liberty and Other Writings by J.S. Mill - This particular copy of the book was at one point in time housed on the campus of UCLA (it's stamped on the bottom). It also has lots of underlining and notes in the margins. 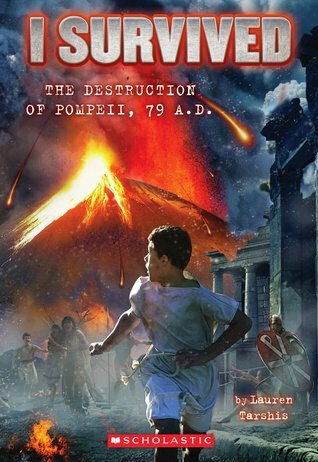 The Templars by Piers Paul Read - I've found the Templars mildly fascinating for years. I've become more interested in them recently since working on a fictional series that heavily references their legacy. A Dog's Purpose by W. Bruce Cameron - I've seen the movie, I may as well read the book as well, right? The Haunted Land: Facing Europe's Ghosts After Communism by Tina Rosenberg - This is a Pulitzer Prize winning book and should also be educational. Biss Zur Mittagsstunde by Stephenie Meyer - This is the German version of New Moon. I've got half the set in German now! Life as I Blow It by Sarah Colonna - This book has a foreword written by Chelsea Handler, and I happen to enjoy Handler's comedy so I imagine this will appeal to me as well. The House of Dies Drear by Virginia Hamilton - I feel like I've heard the name of this book before, maybe seen it on some of those lists I love so much. In any case, I have a copy of it now. Revolutionary Road by Richard Yates - I'm a big fan of buying books that have been made into movies, so that I can get all snotty about how the book is sooooooo much better than the movie. Redeeming Love by Francine Rivers - Historical fiction set during the California gold rush it seems. Should be interesting. Wake Up America by Eric Bolling - I won an audiobook copy of this book through a Goodreads First Reads giveaway, but it never arrived. That makes me sad because I was supposed to be listening to it for a review that Bekah the Awesome of Platypire Reviews bought at an auction a while back. Now I can at least still follow through with the review. So that's all the books I picked up this week at my thrift store. This haul cost me a whopping $1.75 because the bags of books were a mere quarter a piece this week, but I had those first two books at different prices. All these books look intriguing :) I hope you enjoy them. Happy reading! Ooh! 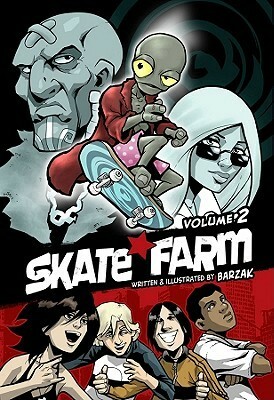 All of these books sound interesting, especially Skate Farm! Been meaning to read Revolutionary Road after enjoying the film version. Curious to know what other details there are for the story. You always find the best books. I can't bring myself to read it watch A Dog's Purpose. I know I'd cry. Life As I Blow It sounds interesting. So many books! So many genres! All of them new to me so thanks for sharing! Happy reading them all! Haven't heard of any of these, but that's a bargain for sure :) have a great week!